By request, here is a reconstructed transcript of a lecture I gave last year, in which I responded to some claims made by Dr. Michael J. Kruger about Mark 16:9-20. This is a response to a recent lecture about the ending of the Gospel of Mark. The lecture was given by Dr. Michael J Kruger, the President of the Reformed Theological Seminary in Charlotte, North Carolina. I’m going to test the accuracy of Dr. Kruger’s claims. I’m glad that he is investigating questions about the New Testament text, but on this particular subject, his lecture contains errors of various kinds – some minor, but some major. As Dr. Kruger acknowledged at the outset of his lecture, people can become emotional about the ending of Mark. But getting emotional, when a respected teacher denies the authority of part of the Word of God, is not necessarily a bad thing. Jesus got emotional sometimes, especially when the religious elite were trying to deprive people of what God wanted them to have. Well, let’s try to approach Dr. Kruger’s claim with scientific detachment. Thus, Dr. Kruger’s reason number one to believe that Mark 16:9-20 is not inspired, is entirely a reason which according to him, according to him, is not a valid reason. Dr. Krueger leaned on this argument repeatedly in his lecture, but clearly, he does not accept it himself. Now, let’s look at Dr. Kruger’s description of the external evidence that pertains to the ending of Mark. Here is how he described external arguments. He said external arguments have to do with the evidence from the way the manuscripts are, and how many manuscripts have one reading versus another. That’s how he framed the question about external evidence: how many manuscripts say this and how many manuscripts say that. But what’s the answer to that question, where the ending of Mark is concerned? Well, if you know the answer, you can see why there is a tradition of timidity when it comes to accurately describing the Greek manuscript evidence about the ending of Mark, because the number of Greek manuscripts with show that their copyists ended the text of Mark 16 at the end of verse 8 is three. One of those three is a medieval commentary manuscript, and in one of the others, Codex Vaticanus, the copyist, left a blank column after chapter 16 verse 8, and that’s the kind of thing the copyist sometimes did when they recollected a passage that was missing from the manuscripts that they were copying from. And in the other manuscript, Codex Sinaiticus, there are some very strange features at the end of Mark involving replacement pages and changes in the copyist’s lettering, and more. Vaticanus and Sinaiticus are the two Greek manuscripts that are referred to in the note that says, “Our earliest manuscripts don’t include verses 9 through 20.” But what about the manuscripts that are older than our earliest manuscripts? What about the manuscripts that were used by Justin Martyr and, and by Tatian and by Irenaeus in the 100s? Irenaeus grew up in Asia Minor. He had heard Polycarp, who had heard the Apostle John. After visiting Rome, Irenaeus settled down in what is now France and became a bishop, and he wrote the book Against Heresies, a multivolume work. And in Book Three of Against Heresies, Irenaeus specifically quoted Mark 16:19. Irenaeus was familiar with the text from at least three locales. But he expressed no hint of any doubt about the genuineness of Mark 16:19. Irenaeus, Tatian, and Justin are not the only patristic writers who used the contents of Mark 16:9-20. Ambrose of Milan quoted it extensively, in Italy. Augustine cited it in North Africa. He mentioned his Greek manuscripts had it, as well as the Latin manuscripts. Hierocles, a pagan writer, used this passage around the year 305, before the production of any of our earliest manuscripts of Mark 16. Aphrahat used it in Syria in the early 300s. 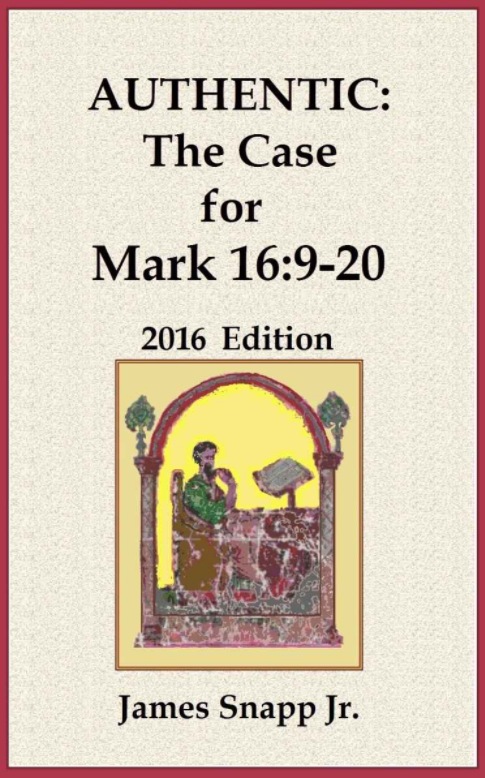 Patristic support for the inclusion of Mark 16:9-20 is ancient, it is abundant, and it is all over the place. Why did all this go unmentioned in Dr. Kruger’s lecture? Because Dr. Kruger was not trying to present the case for both sides – at least that’s what he said, and I believe him. Near the end of the lecture, he said that he’s giving his listeners the case that these verses are not original. Now, if he had been presenting a detached scientific review of the evidence, we would have heard something about the blank space in Codex Vaticanus. 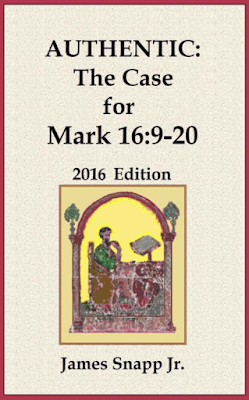 We would have heard something about the dozens of patristic writings that support the inclusion of Mark 16:9-20. So, um, Tischendorf’s account of his first encounter with pages from of Codex Sinaiticus is already highly implausible. There’s no need to stretch it any farther. Dr. Kruger also said that Vaticanus and Sinaiticus are both complete New Testaments. But Codex Vaticanus in its present condition is missing several New Testament books. And its text of Revelation is technically a different and much younger manuscript. But when Dr. Krueger mentioned patristic evidence, there’s a lot that he left out. He focused on Eusebius and Jerome. Now Eusebius wrote around the 320s, and Jerome wrote in the late 300s and early 400s. Dr. Krueger claimed that these two authors make it very plain that their versions of Mark do not have Mark 16:9-20, and that virtually all the Greek codices they knew about did not have verses 9 through 20. However, you can see what Eusebius actually wrote in a book that Dr. Krueger apparently has never read, Eusebius of Caesarea: Gospel Problems and Solutions. Eusebius, when he was asked a question about how to harmonize what Mark says and what Matthew says, about Jesus’ resurrection-appearances, and the timing of the resurrection, [that] Eusebius mentioned that one possible way to resolve the problem was to reject Mark 16:9-20. But Eusebius proceeded to advocate the inclusion of those 12 verses and he quoted Mark 16:9 on two other occasions in the same composition. Eusebius worked at Caesarea, which was a sort of intersection between the Egyptian texts that did not have verses 9-20 and a local text that did have these verses. So he was aware that some copies did not have them, but he did not say “None of my manuscripts have them.” He even explained to Marinus how verse nine should be written. He even explained to Marinus how it should be read out loud. That is not how you reject a passage. Now about Jerome. Jerome included Mark 16:9-20 in the Vulgate Gospels, made in 383. Jerome said that he consulted ancient Greek manuscripts when he prepared that Latin text. If Dr. Kruger had taken a closer look at Jerome’s composition Ad Hedibiam, or Epistle 120, he would have realized that in the relevant portion of that composition, Jerome was recycling part of Eusebius’ earlier composition, just like Jerome recycled some other writers’ work. What we have there is essentially a Latin abridgment of Eusebius’s work. It’s not an independent observation about Jerome’s manuscripts. After misrepresenting the testimony of Eusebius and Jerome, and letting many other patristic writers go unmentioned, Dr. Kruger misrepresented the internal evidence. He stated that the vocabulary words in Mark 16:9-20 tend to look like they came from the other three Gospels. Well, maybe they do when you just look at it from a distance, but not when you get up close. Start to look at those details, and the case that those words are taken from the other Gospels collapses. These twelve verses relate some of the same events that are described in the other gospels, but that’s the case for every twelve-verse segment of the Gospel of Mark. The common claim that the verbiage in Mark 16:9-20 is cut and pasted in from the other gospel accounts is unsustainable when you start to look at the details. To give just one example: where in Matthew 28, where in Luke 24, where in John 20-21, is there anything about serpents and poison? We see these things mentioned in Mark 16:18. Clearly, they did not get there due to someone’s desire to create an ending for the Gospel of Mark that resembled the endings in the other Gospels. 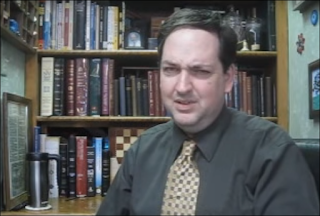 Apparently Dr. Kruger believes that somebody, someone who had read Matthew 28, instead of finishing the scene that’s left hanging there in verse eight, by using the framework of Matthew 28’s narrative, decided it would be a good idea instead to suddenly restart the narrative by reintroducing Mary Magdalene, restating the day, restating the time, and reporting that Jesus appeared to Mary Magdalene without mentioning anything He said, and without mentioning Mary’s two companions, as if they suddenly vanish with no explanation. That is implausible in the extreme, but that is just one of many things, many implausible things, that you have to convince yourself to believe if you’re going to believe that Mark 16:9-20 is a patchwork that was designed to conclude the Gospel of Mark. One also has to believe simultaneously that it is highly significant that Mark 16:9-20 contains eighteen words that Mark doesn’t use elsewhere, but the observation that Mark 15:40-16:4 (another twelve-verse passage) contains twenty words that Mark does not use elsewhere – well, that’s so trivial, it’s not even worth mentioning in the lecture, is it. Now, because I want to keep this brief, I’ll pass by what Dr. Krueger said about the possible impact of the subject on the doctrine of inerrancy. I do not regard Mark 16:9-20 as a scribal corruption like he does, but I agree with Dr. Kruger’s position that if divine authority is exclusive to the original text, then the removal of a scribal corruption simply gives us a better picture of the original text. The removal of a barnacle does not say anything about the skill of the shipbuilder. Now let’s return to what Dr. Krueger claimed about the evidence itself. In the 19th minute of his lecture, he stated, “If you didn’t live in the modern day with the history of English translations, this wouldn’t bother you at all, and here’s why: because you wouldn’t even know it wasn’t there.” What a false, false, false statement. That’s false! Numerous patristic writings from diverse locations in the 300s and 400s demonstrate that the typical manuscript of Mark used outside the borders of Egypt included verses 9-20. There’s an easy way to test Dr. Kruger’s claim and expose how false, false, false, it is. Suppose we were to collect all of the surviving Greek manuscripts of Mark 16 from the year 400 to the year 1000. Put them all together, and among those manuscripts, how many of them end of the text of Mark at the end of verse 8? None of them do, not one. Now, let’s interpret that generously and interpret his reference to the original Greek manuscripts as if he meant manuscripts in the original Greek language. I don’t think he intended to suggest that the autographs were being handed around in the 200s and 300s. With that being granted, his statement is still preposterous. The medieval manuscripts did not just spring out of the earth. They contain Mark 16:9-20 because their ancestor-manuscripts contained 16:9-20. And plenty of ancient manuscripts support Mark 16:9-20: Codex Alexandrinus, Codex Bezae, Codex Washingtoniensis, and Codex Regius are just a few examples. Dr. Kruger wanted his students to believe that the issue about Mark 16:9-20 is just a holdover from the history of the English Bible, but that’s not true, and you can easily demonstrate that that statement is not true. The removal of Mark 16:9-20 would not just be an admission about an error in the text used by the leaders of the Protestant Reformation. It would also imply that the Latin Vulgate was incorrect. It would imply that the Syriac Peshitta version, also from the late 300s, was incorrect. It would mean that the Gothic version, from around the mid-300s, was incorrect. It would mean that every Ethiopic manuscript of Mark is corrupt at this point, and it would require that every extant Greek manuscript of Mark 16, except three, contained a twelve-verse long corruption when it was produced. Ladies and gentlemen, that is over 1,600 manuscripts representing an assortment of ancient tradition-lines. It’s not just the quantity; it’s the scope. This reading was everywhere. It would require that the leaders of the Christian church in the 100s, 200s, and 300s – those entrusted with the task of handing down the canonical text – were using manuscripts embedded with a significant corruption and failed to detect it. It would require that every Greek Gospels-lectionary, and every complete Latin Book of Hours, contained verses that would never supposed to be there. Obviously, there’s much more to the picture than just the traditional English texts, and whoever tries to convince you otherwise is not doing his credibility any favors. As Dr. Kruger started to wrap up, he said, “People ask me all the time, why doesn’t the ESV just drop it?” He said, “People are going to throw a fit if it’s removed.” And here we come to another [a] bad academic habit: a commentator’s promotion of the idea that people who would object to the removal of Mark 16 are just driven by their emotions; they’re addicted to their tradition; why can’t they just follow the evidence where it leads? Well, it’s almost as if the motives of those who want to keep Mark 16 to 19 in the text, it’s almost like their motives of being questioned. This is just rhetorical sleight of hand, like spreading the claim about a tradition of timidity, when the real timidity belongs to the professors who are extremely timid when it comes to letting the evidence about the ending of Mark see the light of day. There’s something else wrong with Dr. Kruger’s answer. If a person believes that these twelve verses do not belong in the Bible, then “People will throw a fit” is not a sufficient reason to keep them in the text. I mean, you’ve already taken out so many other verses, what’s another twelve? If he thinks they’re not inspired, then he shouldn’t be okay with having them in the Bible. In closing, it was not my intention today to make a case that verses 9-20 of Mark 16 are genuine inspired scripture. If you’d like to see a detailed case to that effect, I offer my digital book, Authentic: the Case for Mark. 16:9-20, which can be purchased at Amazon, or you can obtain a free copy from me by request. My purpose today was only to show that Dr. Kruger’s presentation about this passage has a disturbing number of major flaws as well as minor ones, and leaves out an enormous amount of relevant evidence. That lecture ought to be withdrawn, not only because there’s a practical concern that it puts shame on a Christian seminary when its president openly mistreats evidence about the New Testament text, but also because it’s morally wrong to distribute false statements. Thank you for watching. May God bless your study. I think it is the most sophisticated case against the veracity of Mark's ending. I am familiar with Carrier's long essay on the ending of Mark; years ago I offered him some advice on various dubious aspects of an earlier draft of it -- some of which, I see, he has taken. Carrier's basic theory is not too far from my own; he acknowledges that 16:9-20 was not composed by some second-century scribe as a continuation of the narrative that otherwise abruptly stops at the end of 16:8. (This was Hort's understanding as well.) The key question is not, "Who added verses 9-20," any more than, when dealing with a book like Proverbs or Jeremiah, "Who added chapters 30 and 31 to Proverbs," or, "Who added chapter 52 to Jeremiah"? -- rather, the key question is, when the text began to be disseminated to the people of God, was the passage present, or was the passage absent? Carrier's work is unfortunately marred at several points by a simple misunderstanding of the relevant data. His paragraphs on Justin, Tatian, and Irenaeus are examples of this; he repeatedly moves the goalposts, so to speak, to impossible levels so as to salvage his position, rather than let his position be determined by the evidence. His conclusion that "The LE has no sound Patristic support as being original to Mark" borders on delusional and has no place in a serious, detached analysis of the patristic evidence. Again: Carrier's dismissal of the evidence from Justin, Irenaeus, and the Diatessaron is poorly argued and is not really sustainable. Perhaps that part of the essay echoes an early draft of the essay which Carrier has not had time or opportunity to improve, in the midst of his other activities. The extremity of Carrier's skeptical approach to the evidence is visible in a comment he made about the writings of Aphrahat: "We don't have the originals, only much later copies, so we can't be sure he actually quoted the LE." One could just as validly say that since we don't have the autograph of the Gospel of Mark, we can't be sure that it actually included verses 16:9-20. No text is safe from such an unrealistic measure of genuineness. Also, Carrier is not entirely consistent when, at one point, he says, "Everything else after Eusebius is useless," and yet at other points (such as when exploring versional evidence) he quite willingly uses later evidence, implicitly assuming that later testimony can echo earlier evidence -- which is true and which is why everything after Eusebius is far from useless. Thanks for replying, James. I agree that Carrier is hyper-skeptical in his treatment of the issue. He seems to be obsessed with the "every passage I dislike is probably a later interpolation" argument, it's even more visible in his opus "On The Historicity Of Jesus". Anyway, thank you for defending the Scripture with such a rigor. If you’d like to see a detailed case to that effect, I offer my digital book, Authentic: the Case for Mark. 16:9-20, which can be purchased at Amazon, or you can obtain a free copy from me by request. Hi I'm Joseph Samuel. May I have a copy it? I’d like to highlight a topic you did not discuss;, the situation found in the Versions. Although Ethiopic versions include it, about 4 dozen add the shorter ending found in in Codex Bobbiensis ( which also has a unique interpolation between 16:3 and 16:4). This shorter ending too makes a case for the longer ending not being a part of the original exemplar. clearly some scribes found a need to complete their copies of Mark, not having found any resurrection appearances. Codex L (019), Codex Ψ (044), Uncial 083, Uncial 099, minuscule 274 (margin), minuscule 579, lectionary 1602. The two oldest best examples of the state of the gospel tradition in the opening years of the 5th century: Sinaiticus and Vaticanus are also missing it. "Suppose we were to collect all of the surviving Greek manuscripts of Mark 16 from the year 400 to the year 1000. Put them all together, and among those manuscripts, how many of them end of the text of Mark at the end of verse 8? None of them do, not one." As if this is somehow dispositive to your argument. Proving that even 3 examples can stand against 1600 years of the textual standardization carried out by the byzantine empire. by saying that in two other places he made the case for including 9-20. The fact that there were enough copies of the gospel of Mark ending in verse 8 where he must argue for it’s inclusion is an argument against the paucity of surviving witnesses of omission. 150 years earlier, Clement of Alexandria and Origen show no knowledge of Mark's longer ending, but admittedly, I find any argument from silence to be unconvincing, and I figure you would agree with me. I just realized this is kind of stream of consciousness, but I'm writing this while i watch world cup matches... apologies. There are no 5th century Georgian MSS. What your source meant (I hope) is that the Georgian version was made in the fifth century, and that two much later Georgian MSS end the text at 16:8. The Sinaitic Syriac MS is not from the late 3rd century. What your source meant (I hope) is that an early Syriac version was made in the late 3rd century and that that is echoed in the Sinaitic Syriac. It is also echoed in the Curetonian Syriac. This is covered in my book. This is a reference to Coptic MS P. Palau-Ribes 182; it is assigned to the 400s but when I asked Coptic specialist Christian Askeland about it, he acknowledged that such a date is fairly arbitrary and it could be plausibly dated much later (as in, centuries later). Again, this is covered in my book. The earliest Armenian copies of Mark in existence come from no earlier than the 800s or 900s. Eznik of Golb (Armenian scholar) cited Mark 16:17-18 in about 440. This you mentioned already, and, again: there are no 5th century Georgian MSS. The two Georgian MSS to which you refer are from the 800s and 900s. Yes, I know, and, again, this is covered in my book. Yes, I know; you can read about some of this material in earlier blog-posts (and in my book!). Yes; I know; see earlier posts (such as "Codex Vaticanus and the Ending of Mark" and "Codex Sinaiticus and the Ending of Mark"). That of course is a separate question. Regarding Eusebius: just download, take in hand, and read his comments to Marinus. (Search for Roger Pearse Eusebius Caesarea Gospel Problems and a link to the material should appear.) It seems evident to me that Eusebius was saying /what someone could say about the passage,/ not what he wanted Marinus to proceed to say. Again, see the part of my book where I cover the testimony of Eusebius and Jerome in detail. No; in two other cases he referred to Mark 16:9, which is not the sort of thing one regarding a passage that one enthusiastically rejects. I'm not sure what you mean. But before you explain your meaning I recommend reading the part of my book that covers Eusebius' comments. The thing is, Metzger was exaggerating there as far as the "drawn up by Ammonius" bit is concerned. The "Ammonius Sections" that are extant today are not the work of Ammonius; they are the work of Eusebius. And it is entirely possible that Eusebius vacillated from one opinion to another, and that when he made the Eusebian Canons, he did not include Mark 16:9-20. I even consider this /probable./ At the time when he wrote "Ad Marinum," he clearly had no problem advising Marinus about how to harmonize (and thus retain) Mark 16:9. The bulk of the relevant part of Jerome's Epistle 120 (To Hedibia) is a Latin abridgement of Eusebius' earlier comments. Jerome was a bit of a plagiarist, and said so. Again, not to sound like a broken record, but see my book for additional details. And Clement does not show any knowledge of 12 chapters of Mark. Too bad Metzger (the source of the "Clement of Alexandria and Origen show no knowledge" claim) left out that little detail. See http://www.thetextofthegospels.com/2016/03/mark-169-20-sorting-out-some-common.html for additional data about this.